Finding relaxation at home is essential so that we feel comfortable in our own home and be able to charge batteries and disconnect after a hard day’s work. There are different places that you can dedicate to it, and there are some stays in which it is possible to foment that sensation of rest and relaxation. One of them is the bathroom. One of the most intimate areas of the house in which we can end that complicated day giving us a relaxing bath to relieve all our tensions. Let’s see how to achieve, through the decoration, that atmosphere appropriate for them. The soft tones are always soothing. There are colors that convey a sense of calm, as is the case of green, turquoise and blue, although neutral as white, gray or beige are also a great choice. As for the materials, the wood is always cozy, although in the bathroom it is more complicated to keep in good condition. You can add details in this material or in stone, for example, use vinyl flooring to imitate this material. Lighting is key to achieve that cozy atmosphere where you can relax. When you go to take that bath avoids the strong and intense lights and bet for a soft and soft light; Candles or auxiliary light that is warm can suffice. And if the candles have some special aroma, even better. To achieve a relaxing and comfortable bath the decorative details are the ones that will make a difference. You can put on the spot some soft rolled towels, some soaps, a natural air freshener that fills the room with an aroma that favors that feeling of calm, or the aromatic candles that we mentioned before, wicker baskets, glass jars … If the Bathroom has that personal touch that makes you sure you feel very comfortable when you want to disconnect. 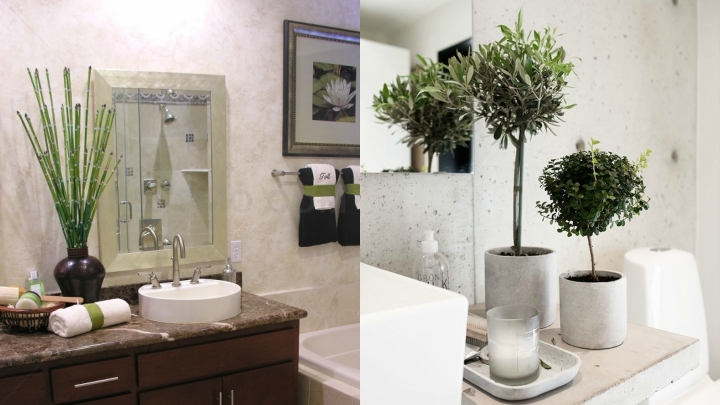 Who says that the bathroom is not the best place to put flowers or plants? You done, that natural touch is wonderful if you want a relaxing and welcoming atmosphere. You can put some green plants, some flower that provides a note of color, some bamboo … And if accompanied by other natural materials such as stone, for example, the result will be most serene and pleasant. Choose plants that resist moisture well and stay well in spaces without much natural light. Bamboo is a good choice in this case, although you have many options. 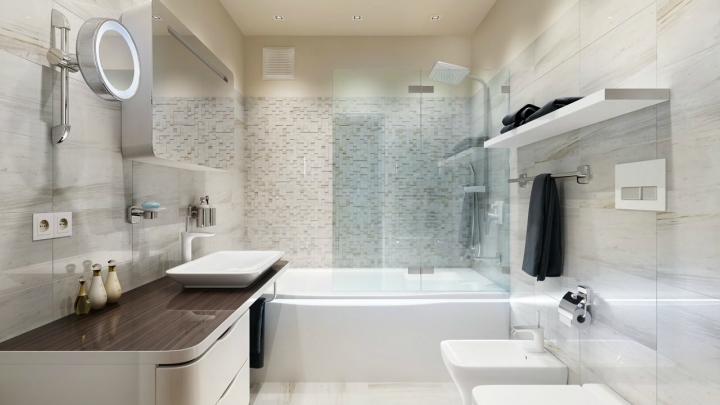 The secret to getting this relaxing bathroom where you can put a good end to a stressful and exhausting day goes by decorating the room without overloading it, as an overly saturated environment can produce the opposite effect to the one we are looking for. What it is about is to use soft tonalities that favor calmness, to include details that personalize and add that warm and welcoming touch, to illuminate it in a soft way and maybe to accompany this evening with a music that also helps us relax. Hot water, soap and silence will do the rest.